Jeff Domin is a marketing and negotiating expert with a track record of success in Wilmington real estate that extends for more than 10 years. With a natural talent for leadership, a genuine affinity for helping people and a patient, positive demeanor, Jeff specializes in the marketing and sale of residential and investment real estate in Wilmington and the surrounding areas. Jeff credits his experience as the owner of a successful chain of garden centers for giving him acute business sense and a talent for solving problems. Having been responsible for an annual marketing budget in excess of $200,000, he is adept at developing engaging advertising content and comprehensive marketing campaigns—skills that deliver short market times and high sale prices, time after time. Recognizing the effectiveness of the team approach, Jeff formed the Domin & Schwartz Real Estate Group, along with his business partner Karen Schwartz. Leveraging the diverse backgrounds and skill sets of his team, he provides attentive and thorough representation for clients with a wide array of needs, from Ocean Isle to Jacksonville. Though his expertise is in Wilmington, Oak Island, Leland, and Carolina Beach as he has lived in each community, Jeff is always willing to travel wherever the interests of his clients should take him. Originally from Buffalo, New York, he is known for his unrelenting work ethic, strong sense of accountability to his clients and ability to help them achieve a successful transition into their new surroundings. Committed to match his clients with the resources they need to make educated decisions, Jeff has continually worked to advance his knowledge. 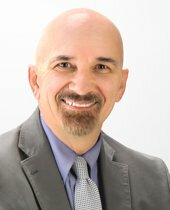 Jeff has numerous certifications including the Institute for Luxury Marketing, Coldwell Banker Global Luxury Certification and has a Certified Negotiation Expert designation to better serve his clients. Jeff loves sharing his firsthand experiences with relocating to ensure his clients have a positive, seamless transaction. When he isn’t busy serving his clients or the community, through his involvement with hospice and several other charities, Jeff likes to spend time with friends and family, including his dogs Bogey and Ella. Frequenting downtown Wilmington, strolling the river walk, and early sunrises on the beach are some of his other favorite pastimes. "I have purchased three homes and Jeff is by far the best Realtor I have ever worked with. I always felt he had my best interest and that he truly cared about finding me the best house within my budget. He answered every question that I had and went out of his way to make me feel comfortable with the house I chose. He is not afraid to give his honest opinion and that is what you need in this business!" "Jess was our Agent selling our house in Leland NC, we live in Maryland and this was a second home, he worked hard negotiating wit the Buyer's Agent until we got a figure that everyone agreed on. Jeff also handled all the Home Inspection Repairs, getting a licensed contractor and making sure everything got done. He was a pleasure to work with and I would Highly recommend Him as an Agent !!" "Jeff was very helpful with not only selling our home (which sold in very little time), but also buying our new house. He was quick to answer questions and was understanding of our needs and wants for our new home. His team was very knowledgeable and walked us through the whole closing process once we found our new house. 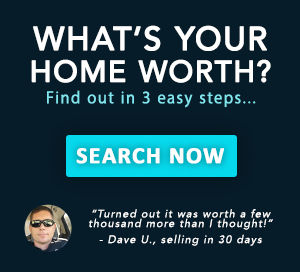 I would definitely recommend Jeff and his team to anyone looking to buy or sell their house."